Your feet are the foundation for the rest of your body. They do support your entire body weight so taking care of them and making sure they are properly supported is incredibly important to you moving pain-free. With this in mind, there are a number of reasons why orthotics can be a good idea. The simplest definition of an orthotic is that they provide added support to the foot. They help the foot return to a more normal movement pattern with the ultimate goal of recruiting the right balance of muscles to work in conjunction with each other. There are no less than 26 bones in the foot that work with ligaments, muscles, and tendons together to support and balance the weight of the body. This system needs all the support it can get to function properly. The feet act as shock absorbers which can cushion up to one million pounds of pressure during one hour of strenuous exercise. 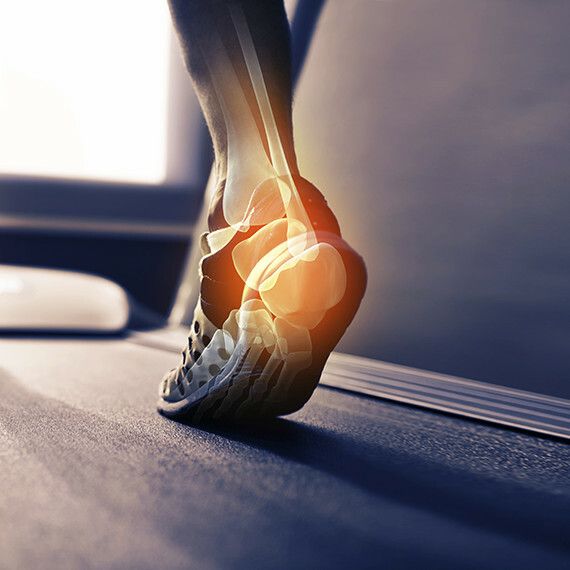 The right orthotics can reduce pain, provide support, prevent foot deformity, relieve pressure, and overall improve biomechanical function of the body. While orthotics don’t correct a fallen arch, they can reposition structures in the foot to improve biomechanical function and reduce chance of injury. There a few different conditions that contribute to, and are aggravated by a fallen arch. Plantar Fasciitis: The plantar fascia connects the heel bone to the toes as well as supports the arch of your foot. If it becomes strained, weak, swollen, or irritated, you get heel pain when you stand or walk. Hallux Valgus: This situation is commonly referred to as a bunion. It is a a deformity at the base of the big toe in which it deviates or points towards the lesser toes. This causes muscle imbalances within the toe joints. As well the big toe provides significant stability for the foot, so if it’s drifting it can contribute to a fallen arch and less foot stability. Arthritis: Osteoarthritis occurs from “wear and tear”. It affects the smooth, gliding surface (cartilage) of the joints. As it becomes worn, it can contribute to inflammation and pain. As well the joints can often move more which results in bigger challenges for you to maintain your arch. Final Thoughts Your feet are the foundation for your health. Keeping them healthy is the key to keeping your whole body healthy. If you think you will benefit from orthotics, see your healthcare provider for a full analysis, and begin your journey to better health.